It's been quite a winter so far with record cold and holiday snowstorms, so if you're battling the winter blues, you're not alone. But guess what? The right light fixtures can warm up your space—and your spirits. Here are some showroom favorites that will do exactly that! Our pick for cozying up with a good book: Cerno Silva Floor Lamp. The warm walnut bent frame and black shade will be a perfect addition to your reading nook. See it on display in our Waltham showroom. Note: we keep its little sister, the Silva Table Lamp, on display and stocked in both showrooms with the white linen shade. Our pick for keeping your body clock on track at the office: Koncept's Mosso Pro. You're going to love this dimmable, color-tunable desk lamp with USB charging port and built-in occupancy sensor. Renovations can increase the value of your home, which is a good thing, especially if you plan to sell in the next few years. Renovations can make life easier and improve day-to-day activities around the home. Renovations can come in all sizes and fit a variety of budgets. Even a quick paint job, change of window dressings, or new light fixture can transform and revitalize a room. 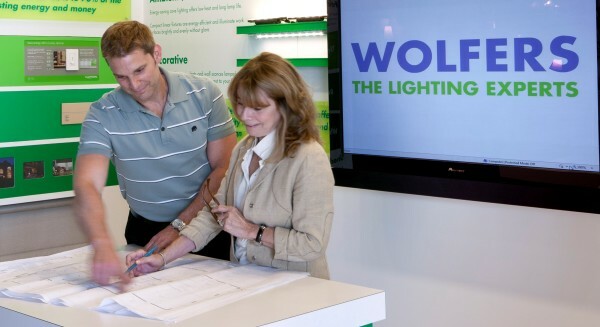 Whatever you're considering for 2018, Wolfers Lighting, System7, and The Boston Shade Company can help with certain aspects of your renovation, specifically lights, lighting controls, and smart home technology. Here are a few helpful tips to keep in mind as you plan. Get a handle on your project's scope. How much do you want to accomplish? Are you hoping to simply "refresh" the kitchen and bathroom with new cabinets and lights? Or are you hoping to completely gut the space and start over? It's a big week in technology land, thanks to CES 2018. If you're not familiar, CES is an international exhibition with almost 4,000 exhibitors from over 150 countries showing consumer technology of all kinds. A huge draw this year? Smart home technology, which includes a favorite topic of ours: lighting controls. If you're thinking of making your home "smarter," you must consider lighting controls. Now, we know it might seem like a daunting task for the uninitiated, but here's the good news: it's probably a lot easier to accomplish than you think! You can find a wide variety of lighting and home control systems to fit various budgets. In addition to new construction applications, high-quality retrofit applications already exist in the marketplace (with more to come). Do you want to turn off the house lights with the touch of a button? Are you looking to consolidate banks of switches into one keypad? Do you want to integrate all of your smart appliances? If you love the look of wood, you're going to love LZF. Since 1994, the founders of LZF have been making lights exclusively out of wood veneer. As its site states, "This noble material creates a spectacular lighting effect, projecting the internal beauty of the wood and radiating a delicately warm and attractive atmosphere to both domestic and contract settings." Based out of Spain, LZF has won over 30 awards internationally and continues to impress with each new fixture it releases. As you can imagine, we're thrilled to add LZF to our showrooms. Here are a few of our current favorites. 1. The Swirl. Sophisticated, yet whimsical—that's a good way to describe this lovely fixture that's sure to garner many compliments. See it on display in Waltham in sunny Yellow.